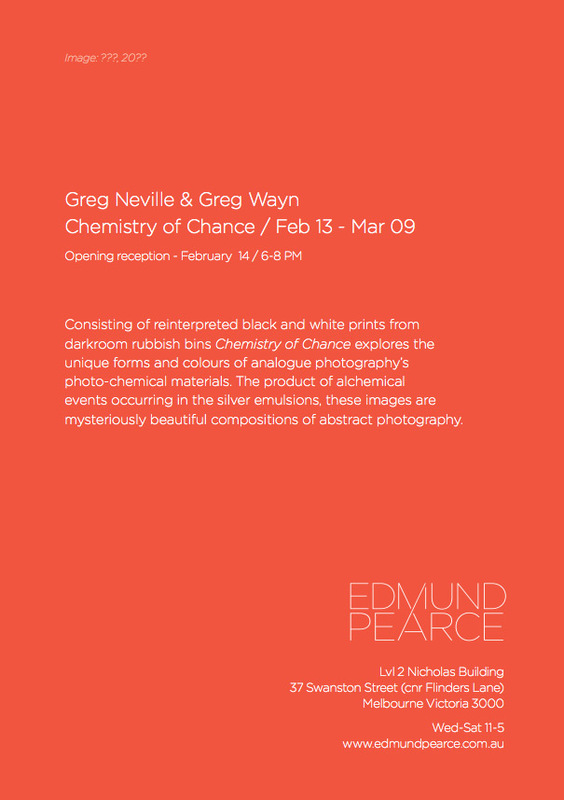 Chemistry of Chance, my exhibition with Greg Wayn, has an invitation card – it’s official, Edmund Pearce gallery has just released it. The gallery is notable for the beauty of its graphics, and in this case Greg’s found image graces the front. The gallery is in the famed Nicholas Building in Swanston St, and the opening is on Thursday February 14, 6-8pm. I’m particularly pleased to be showing at this gallery because it has established itself as a major venue for new photography in only one short year. The quality and presentation has been high and the gallery has uncovered a lot of very good photographers previously unknown to me. 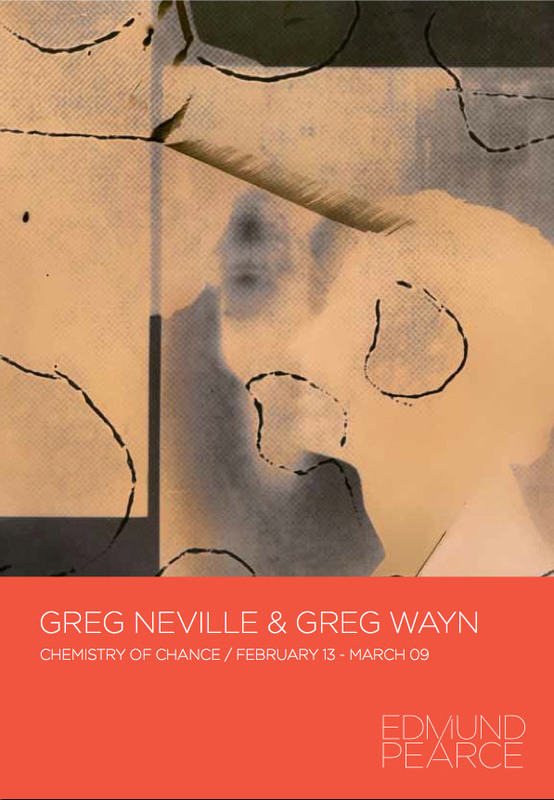 Chemistry of Chance is a two-person show derived from reject prints found in darkroom rubbish bins. Frustrated students would throw mistakes into the rubbish where they would “stew” in the dark, changing through the action of chemicals, water, air and time. They reveal the innate beauty and surprise of analogue photography’s photo-chemical materials. Greg and I have scanned these darkroom mistakes, opening them up to make beautiful pigment prints that are un-cropped versions of the originals.